Located 620 miles off the east coast of Ecuador, these remote volcanic islands have some of the most diverse and vibrant ecosystems in the world. Charles Darwin, who developed his theories of evolution while on the Galápagos islands, described them as “a little world within itself.” Unfortunately, the effects of global warming are drastically changing the makeup of these once secluded islands. In 2007 the islands were placed on the World Heritage Danger List, and although the archipelago was removed from the list in 2010 environmentalists warn that the area is still not in the clear. A continuous increase in ocean temperature is causing coral bleaching and the death of a number of marine species. Rising sea levels are also threatening the island. As the volcanic activity in the area already causes the land to subside, the islands are particularly vulnerable to any level changes. In an attempt to preserve the delicate biosphere, the islands are highly protected and luxury yacht charter or taking a private yacht around the islands comes with restrictions. 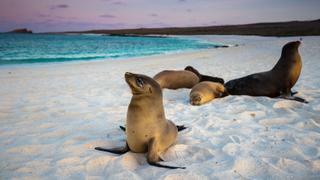 If you want to visit this unique archipelago, don’t miss our guide to discovering the Galápagos Islands by superyacht. Unfortunately, the effects of global warming are drastically changing the makeup of these once secluded islands. In 2007 the islands were placed on the World Heritage Danger List, and although the archipelago was removed from the list in 2010 environmentalists warn that the area is still not in the clear. A continuous increase in ocean temperature is causing coral bleaching and the death of a number of marine species. Rising sea levels are also threatening the island. As the volcanic activity in the area already causes the land to subside, the islands are particularly vulnerable to any level changes. In an attempt to preserve the delicate biosphere, the islands are highly protected and luxury yacht charter or taking a private yacht around the islands comes with restrictions. If you want to visit this unique archipelago, don’t miss our guide to discovering the Galápagos Islands by superyacht. Global warming is endangering the future of the Great Barrier Reef, with scientists warning the public last year that 35% of the reef has been killed as a result of mass coral bleaching. Even though Unesco voted not to put the Great Barrier Reef on the world 'danger list’, the latest findings have raised serious concerns about the future of this natural wonder. An expert from the James Cook University warned that this latest bleaching had already “changed the Great Barrier Reef forever”. Australia has submitted a 35-year plan that aims to protect the reef and reduce pollution by 80% by 2025. However, sceptics and environmentalists warn that the reef could be destroyed beyond recognition in the next 100 years if more action is not taken. Global warming is endangering the future of the Great Barrier Reef, with scientists warning the public last year that 35% of the reef has been killed as a result of mass coral bleaching. Even though Unesco voted not to put the Great Barrier Reef on the world 'danger list’, the latest findings have raised serious concerns about the future of this natural wonder. An expert from the James Cook University warned that this latest bleaching had already “changed the Great Barrier Reef forever”. 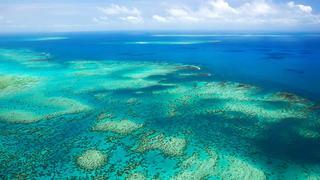 Australia has submitted a 35-year plan that aims to protect the reef and reduce pollution by 80% by 2025. However, sceptics and environmentalists warn that the reef could be destroyed beyond recognition in the next 100 years if more action is not taken. 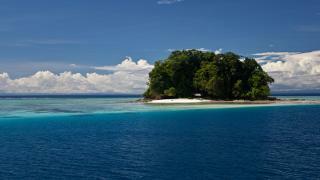 Last year Australian researchers revealed that five islands in the Solomon archipelago had disappeared due to rising seas and erosion. The South Pacific islands that sunk were uninhabited but a further six islands have also seen large areas reclaimed by the sea, destroying entire villages. The study, published in Environmental Research Letters, revealed that the archipelago had seen sea levels rise by as much as 10mm per year over the past two decades. The island nation lies about 1,000 miles north-east of Australia and is made up of more than 900 islands with a population of approximately 640,000. The study is the first scientific confirmation of residents’ claims that the islands are disappearing, but the speed of erosion is still unclear. If you are interested in visiting the region, don’t miss our superyacht captain's tips for visiting the Solomon Islands. Last year Australian researchers revealed that five islands in the Solomon archipelago had disappeared due to rising seas and erosion. The South Pacific islands that sunk were uninhabited but a further six islands have also seen large areas reclaimed by the sea, destroying entire villages. The study, published in Environmental Research Letters, revealed that the archipelago had seen sea levels rise by as much as 10mm per year over the past two decades. The island nation lies about 1,000 miles north-east of Australia and is made up of more than 900 islands with a population of approximately 640,000. The study is the first scientific confirmation of residents’ claims that the islands are disappearing, but the speed of erosion is still unclear. If you are interested in visiting the region, don’t miss our superyacht captain's tips for visiting the Solomon Islands. One of the best honeymoon destinations to visit on your superyacht, the Maldives is also the lowest lying country in the world. With most islands less than a metre and a half above sea level, the Maldives is suffering from a lethal combination of high surface erosion and rising sea levels. The 2004 Boxing Day Tsunami showed the severe threat the Maldives is facing — two-thirds of the capital city Malé was flooded and some islands were completely submerged. The risk is so great to the country that its government has already started purchasing land in other countries in preparation for Maldivian “climate refugees”. 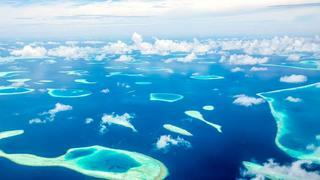 If you want to visit the region, don’t miss our guide to seven days discovering the Maldives by superyacht. One of the best honeymoon destinations to visit on your superyacht, the Maldives is also the lowest lying country in the world. With most islands less than a metre and a half above sea level, the Maldives is suffering from a lethal combination of high surface erosion and rising sea levels. The 2004 Boxing Day Tsunami showed the severe threat the Maldives is facing — two-thirds of the capital city Malé was flooded and some islands were completely submerged. The risk is so great to the country that its government has already started purchasing land in other countries in preparation for Maldivian “climate refugees”. If you want to visit the region, don’t miss our guide to seven days discovering the Maldives by superyacht. One of the most incredible ice destinations to visit on a superyacht, Alaska is also under threat from global warming. Scientists predict that in the next 100 years Alaska will experience a massive loss of its historic tundra as warmer temperatures will allow forests and vegetation to grow. Alaskan natives’ ways of life are already being threatened, with the supply of fish and game declining, while along its coastlines the amount of sea ice is diminishing, leading to problems with erosion. 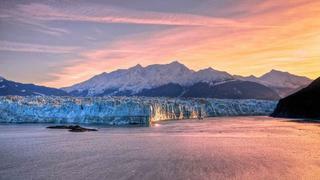 One of the most incredible ice destinations to visit on a superyacht, Alaska is also under threat from global warming. Scientists predict that in the next 100 years Alaska will experience a massive loss of its historic tundra as warmer temperatures will allow forests and vegetation to grow. Alaskan natives’ ways of life are already being threatened, with the supply of fish and game declining, while along its coastlines the amount of sea ice is diminishing, leading to problems with erosion. Over the past two decades the stunning archipelago of the Seychelles has lost large amounts of its coral reefs and is also suffering increased problems with beach erosion. In 1997 and 1998 a ‘super’ El Niño weather phenomenon caused a massive die-off in the coral reefs around the inner islands of the Seychelles. There are concerns that high temperatures last year could also have caused another mass bleaching. Rising sea levels are also creating increased beach erosion and the archipelago’s low lying position, similar to the Maldives, makes it vulnerable to any major level changes. If you want to visit the region, read our guide to seven days discovering the Seychelles on a superyacht. 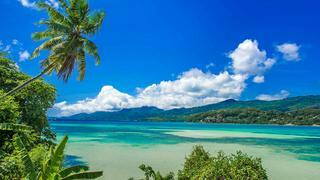 Over the past two decades the stunning archipelago of the Seychelles has lost large amounts of its coral reefs and is also suffering increased problems with beach erosion. In 1997 and 1998 a ‘super’ El Niño weather phenomenon caused a massive die-off in the coral reefs around the inner islands of the Seychelles. There are concerns that high temperatures last year could also have caused another mass bleaching. Rising sea levels are also creating increased beach erosion and the archipelago’s low lying position, similar to the Maldives, makes it vulnerable to any major level changes. If you want to visit the region, read our guide to seven days discovering the Seychelles on a superyacht. 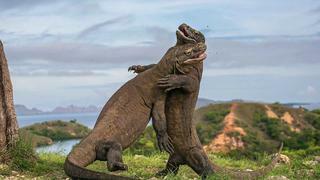 Located in Eastern Indonesia, Komodo National Park was set up to protect the Komodo Dragon. It attracts ecotourism visitors, not just because of the giant lizards but also because it offers some of the world’s best diving. In 1991 Komodo was recognised as a world heritage site, but there are still worries that an increasing population, overdevelopment and unregulated tourism could cause permanent and non-reversible damage. There are also concerns that mass coral bleaching may be happening in the surrounding coral reefs. Located in Eastern Indonesia, Komodo National Park was set up to protect the Komodo Dragon. It attracts ecotourism visitors, not just because of the giant lizards but also because it offers some of the world’s best diving. In 1991 Komodo was recognised as a world heritage site, but there are still worries that an increasing population, overdevelopment and unregulated tourism could cause permanent and non-reversible damage. There are also concerns that mass coral bleaching may be happening in the surrounding coral reefs. Venice is famous for appearing to be floating upon the waters of the lagoon but unfortunately, the reality is that it is actually sinking. Many argue that Venice has long been living on borrowed time and, with rising sea levels and global warming, this time may be running out. It is hoped that the €5.4bn Mose flood barrier project, which uses similar technology to London’s Thames Barrier, will help to protect the city. 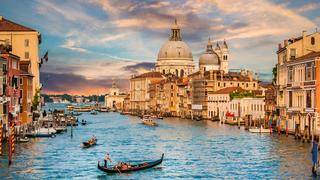 However, there are still fears that Venice will become uninhabitable in the next 100 years. If you want to visit Venice, then don’t miss our week long itinerary from Rimini to Trieste via Venice. Venice is famous for appearing to be floating upon the waters of the lagoon but unfortunately, the reality is that it is actually sinking. Many argue that Venice has long been living on borrowed time and, with rising sea levels and global warming, this time may be running out. It is hoped that the €5.4bn Mose flood barrier project, which uses similar technology to London’s Thames Barrier, will help to protect the city. However, there are still fears that Venice will become uninhabitable in the next 100 years. If you want to visit Venice, then don’t miss our week long itinerary from Rimini to Trieste via Venice.